I am always attracted to the wine-styles of Italy’s northern provinces and I was more than delighted to have been presented recently with a real ‘find’ – added to which a wine grape variety I had certainly heard of but don’t recall ever having sampled before – the crisp white Ribolla Gialla. On nose and taste, so impressed was I with the wine’s summery floral scents, its sappy fresh acidity and its high quality overall that it has made itself my inevitable wine pick for July. 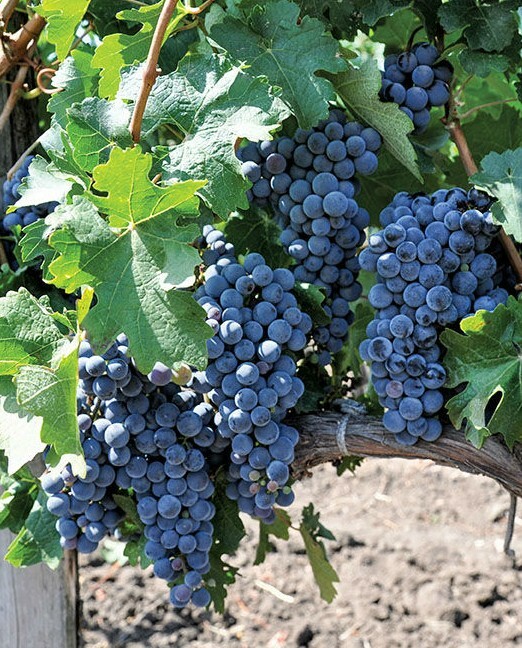 The Ribolla grape variety has ancient Greek origins, and was until fairly recently a bit of a rarity in this north-easterly region of Italy, but is now and quite deservedly coming back into fashion. 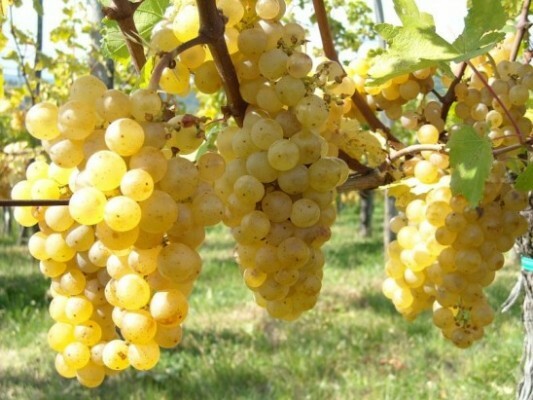 The grape variety– 100% in this wine – being the yellow Ribolla – ribolla gialla – though the varietal also sports a couple of sub-varieties. Geographically my choice comes from the borderland between the Colli Orientali and Collio in Italy’s northeastern province of Friuli from an estate founded in 1973 run initially by Andrea Visintini and now by his two winemaker daughters, Cinzia and Palmira. A further distinguishing factor is that this wine is certified biodynamic – raised under the somewhat mystical processes ‘beyond simply organic’ espoused by Rudolf Steiner in the mid 1920s, this wine being officially certified as such by Demeter – the organization behind the practice. With improved vineyard health many wine-drinkers and wine-makers alike celebrate exceptional results in the taste of biodynamic wines as there seems to be an enhanced definition and purity about them. Here, for example, I detect an immediacy and cleanness in the taste of the fruit and an exceptional expression of terroir. Ribolla Gialla 2017 from the Visintini stable seems to offer both a completeness and an overall integrity about itself…. the wine’s wildflower nose, its stone-fruit hints on the palate and its clean citric finish offering a good sense of its place of origin. Attractively labelled too – a botanical print of citrus x limon – giving a hint to prospective drinkers of the zip and freshness of taste to be expected in the glass. Food pairings? The wine’s bright acidity offers a corrective cut for oily fish like salmon….great for shellfish too, indeed ‘the world is your lobster’, if you remember Arthur Daley’s artless mis-quote in the TV series ‘Minder’. Why not put this wine alongside the recipe shown further below? Try and get home-produced artisan goat cheeses if you can rather than the commercial variety. Local Farmers’ markets are usually a good source. Fill a large pan with water, salt it, and bring it to the boil. Toss in the sliced fennel and cook it for 2 minutes – then add the asparagus. Cook for a further 2 minutes, then add the fresh peas and the Kenya beans for a further minute or two. Drain all the items into a colander and refresh them straight away under the cold tap. Put the chicory and the blanched cooled vegetables into a large container and mix them all together. Simply whisk the above ingredients together in a separate bowl, adding the seasoning to taste. Toss the vegetables lightly with the sauce, reserving some to drizzle over the goat cheese when added to each individual salad plate. Informal, very informative, and a great variation over the evening, as well as over the course.